Photo: Natural Resources Conservation Service Soil Health Campaign. CC BY 2.0 (cropped). I spend my days in a sterile 8×10 room practicing family medicine and yet my mind is in the soil. This is because I’m discovering just how much this rich, dark substance influences the day-to-day health of my patients. I’m even beginning to wonder whether Hippocrates was wrong, or at least somewhat misguided, when he proclaimed, “Let food be thy medicine.” Don’t get me wrong — food is important to our health. But it might be the soil where our food is grown, rather than the food itself, that offers us the real medicine. 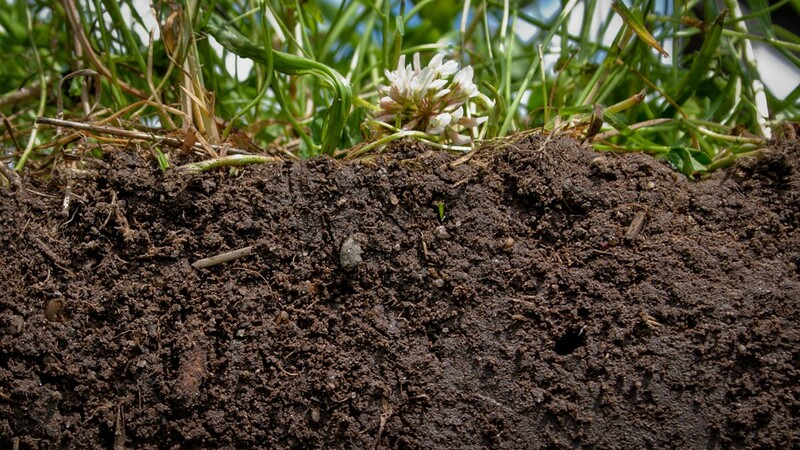 The scientists investigating this soil-health connection are a varied bunch — botanists, agronomists, ecologists, geneticists, immunologists, microbiologists — and collectively they are giving us new reasons to care about the places where our food is grown. A group of French microbiologists were among the first to document this game of pass-the-gene when they identified the exact same sequence of DNA in two different Bacteroidetes bacteria species, one living on seaweed and the other in the intestines of Japanese people. They concluded that the marine bacteria had hitchhiked their way into the human gut via sushi and other seaweed dishes and passed their seaweed-digesting DNA on to resident microbes of the human host. The end result of this exchange is that many Japanese — and possibly people from other seaweed-eating cultures — have acquired a greater ability than the rest of us to extract valuable nutrients from their nori. Impressed by the growing evidence that our health depends on healthy soil, my “dirty thoughts” have turned to action. I now tell my patients that food grown in well-treated soil might offer distinct advantages when it comes to scoring the best nutrients and building a healthy immune system. Of course, identifying this food can be tricky since USDA Organic certification, while certainly a helpful guide, does not always lead us to the healthiest farms. Many certified organic farms do qualify as ecological, but some large-scale farms with this certification still till deeply and use approved pesticides — both practices that damage soil and the microbes in it. The Surprising Healing Qualities … of Dirt by Daphne Miller is licensed under a Attribution-NonCommercial-ShareAlike 3.0 United States License based on a work at http://www.yesmagazine.org/issues/how-to-eat-like-our-lives-depend-on-it/how-dirt-heals-us.